Need a really last minute idea to make your Christmas table look festive? 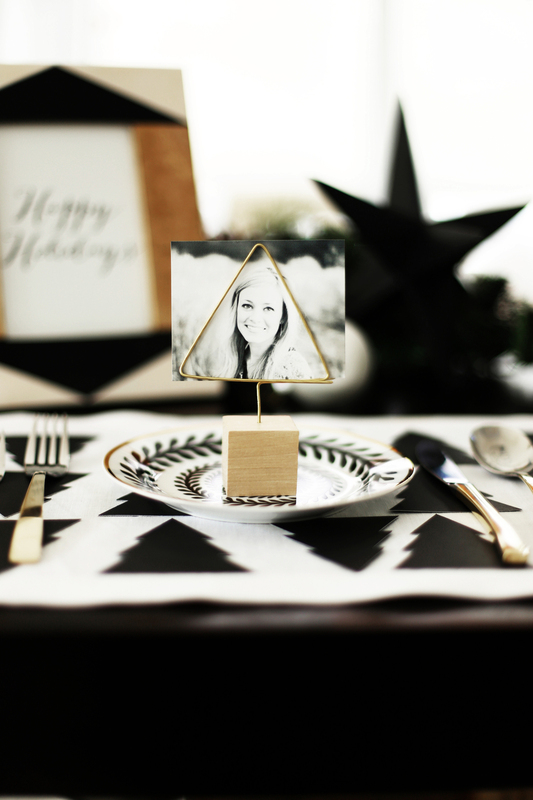 These DIY Christmas place card holders are just the thing. They pair perfectly with the DIY Christmas placemats and Christmas tree garland I shared. Cut a piece of wire about two feet long. Straighten your wire by grasping it with your pliers on one end and spinning it in a drill on the other end. Make sure to keep tension on the wire as you spin the drill. Starting at the bottom, bend the wire with your pliers into a triangle shape twice around. 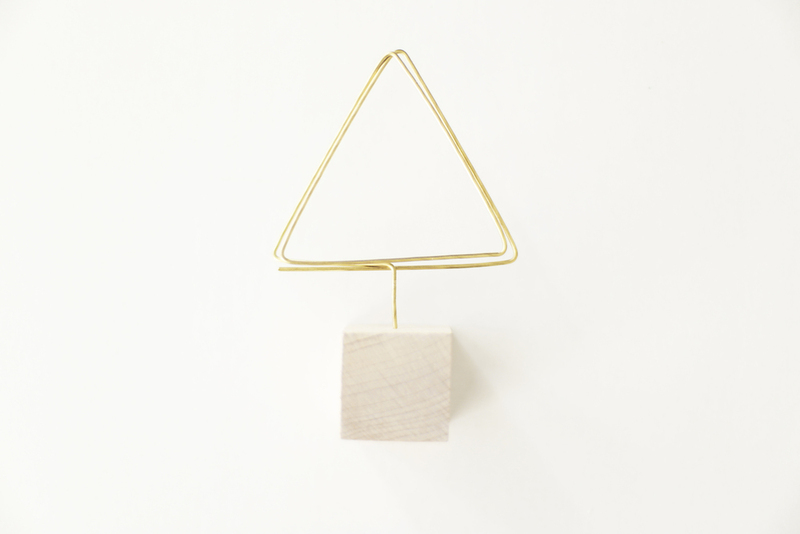 When you get to the end of your second triangle, bend your wire down at the halfway point of the bottom of the triangle to form your piece to insert into the wood. Cut this piece to about 1.5." Drill a hole halfway into the cube. Cover the end of the wire with super glue, and insert into the cube. 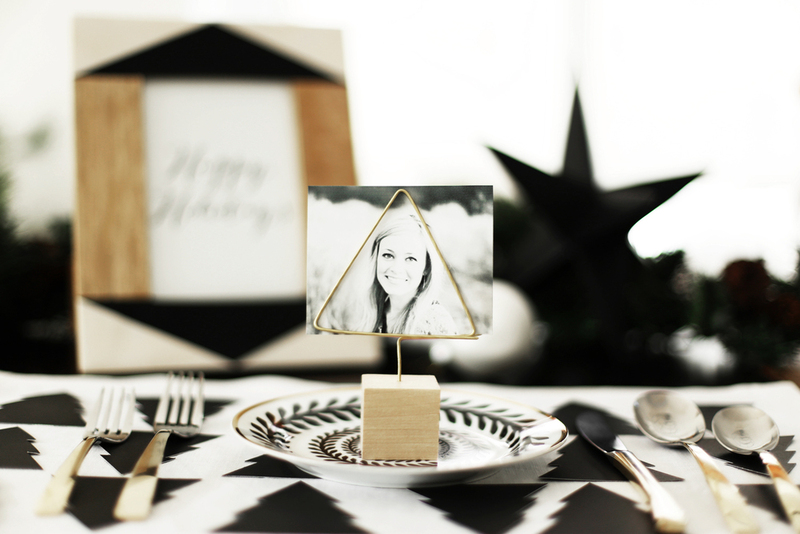 Above is a little video tutorial on how to do these DIY Christmas place card holders. How fun would it be to use some silly photos of guests at the table? Thank you so much for subscribing! Please check your email to confirm your subscription and get your free party printable collection!